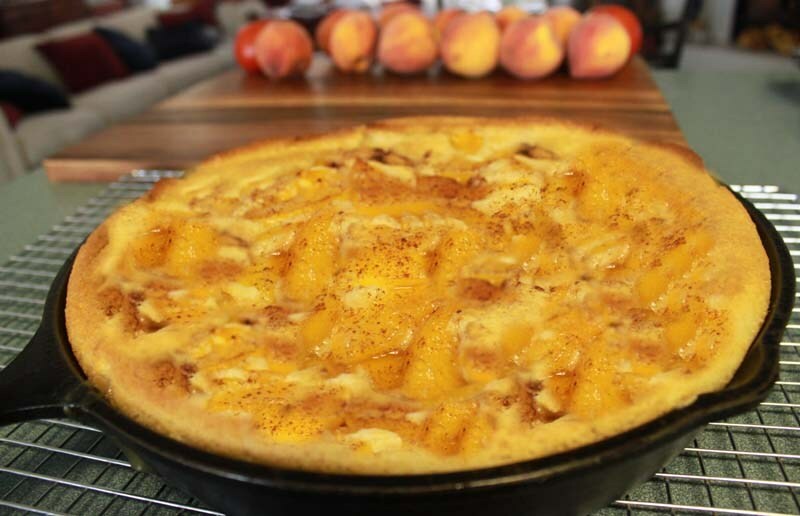 Iron Skillet Peach Cobbler | Rosetta Bakes! Place 1 stick butter in medium size iron skillet. (you can also use a baking dish). Place in oven to melt. 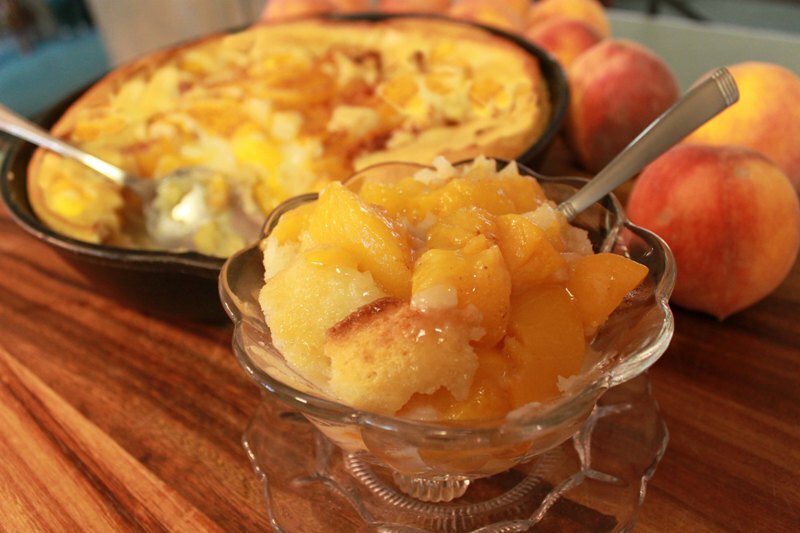 Place peaches in a skillet on med heat. Add in 1 to 1-1/2 cups sugar and mix. Slowly add in 1 cup water, and let simmer while you make your crust. Sprinkle cinnamon on top *optional. In iron skillet, slowly pour in crust batter on top of butter (do not mix). Spoon in peach mixture on top of crust, being careful to not stir. LOVE THIS… YUMMY…. will be trying this for sure!!!! !